Dr. Solomon has received his reputation as Los Angeles’ top dental reconstruction dentist because of his consistently thorough patient care and excellent results. The full mouth reconstruction process is different for each patient depending on his or her individual needs. Dr. Solomon will carefully review your case with you and discuss possible treatment plans. Multiple procedures may be involved such as restorations, implants, veneers, or orthotics. Dr. Solomon specializes in completing full mouth reconstructions in only two visits as well as neuromuscular and TMJ cases. For your comfort, our office provides partial as well as complete sleep sedation options. In addition, if you are travelling from out of town, our front desk will help make travel arrangements. Please contact us at (310)475-5598. Dr. Solomon has been practicing for over 27 years and is known for his impeccable bedside manner. He will put you at ease by answering any and all of your questions before, during, and after every procedure. In addition, he has received specialized training in full mouth reconstruction and neuromuscular dentistry at the prestigious Las Vegas Institute for Advanced Dental Studies. His in-depth expertise of not only teeth, but also the jaw, muscles, and nerves is what sets him apart from other dentists. You can be confident that with Dr. Solomon, you will receive exceptional care and results. Youn traveled all the way from Japan to receive Dr. Sid’s expertise. As a successful businessman, he wanted his smile to reflect his stature. He came to Dr. Solomon with a lackluster smile featuring yellow, decayed teeth and several missing teeth. Dr. Sid recommended a treatment plan including a deep cleaning, implants, and veneers. Youn was extremely happy with the results, exclaiming that he both looked and felt 20 years younger. Although he still lives in Japan, he still comes to Dr. Sid for hygiene visits. Dr. Sid Solomon is a leading TMJ specialist in Los Angeles. He has extensive experience with successfully treating TMJ disorders for over 27 years. 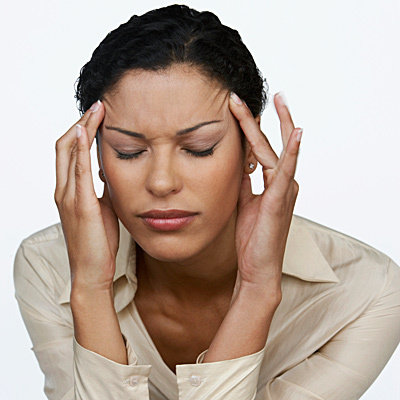 Popular symptoms of TMJ often include relentless headaches, earaches, neck pain or stiffness, facial pain, or “clicking” or “popping” noises of the jaw joints. These symptoms, which are actually caused by a TMJ disorder, are frequently mistaken for other conditions. Thus, patients fruitlessly search from doctor to doctor looking for relief when they should be seeking treatment from a TMJ dentist. highly precise and completely pain-free diagnostic tools such as electromyography (EMG) testing. Dr. Solomon uses this information to determine the proper bite or alignment of the teeth. 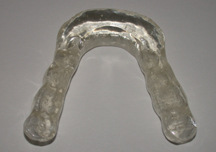 A custom-made orthotic will then be made to stabilize the TMJ joints and realign the bite. As a result, muscle spasms and pain will be eliminated. This whole process is completely pain-free and non-invasive so call (310)475-5598 today to schedule your personal TMJ consultation with Dr. Solomon! It’s time to start living life pain-free!